The commuter's way of life started in south-east England and the development of modern London would be almost inconceivable without the expansion of the railways in the nineteenth century. 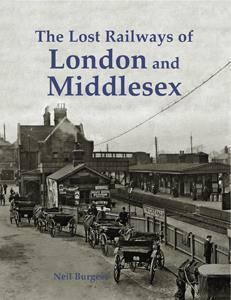 London's industrial reputation was also built on the railway network. The city was spared the severity of the Beeching cuts; nonetheless, the network has changed and adapted over the decades. This book covers the history of the lines that have been lost, while its photographs give a nostalgic view of London when it was still wreathed in steam.